In criminal law, an overt act is the one that can be clearly proved by evidence and from which criminal intent can be inferred, as opposed to a mere intention in the mind to commit a crime. Therefore, it is an act that, while innocent per se, can potentially be used as evidence against someone during a trial to show participation in a crime. For instance, the purchase of a ski mask, which can conceal identity, is generally a legal act but may be an overt act if it is purchased in the planning of a bank robbery. In late 2006, the Commonwealth Government, under the Prime-Ministership of John Howard proposed plans to amend Australia's Crimes Act 1914, introducing laws that mean artists and writers may be jailed for up to seven years if their work was considered seditious or inspired sedition either deliberately or accidentally. Opponents of these laws have suggested that they could be used against legitimate dissent. 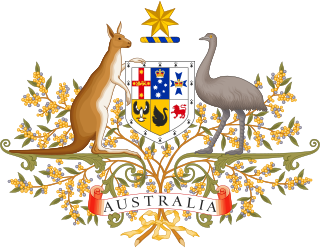 The Australian Law Reform Commission is an Australian independent statutory body established to conduct reviews into the law of Australia.The reviews, also called inquiries or references, are referred to the ALRC by the Attorney-General of Australia. Based on its research and consultations throughout an inquiry, the ALRC makes recommendations to government so that government can make informed decisions about law reform. 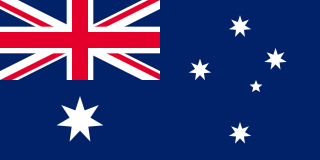 These laws were amended in Australia on 19 September 2011. The ‘sedition’ clauses were repealed and replaced with ‘urging violence’. In Canada, sedition, which includes speaking seditious words, publishing a seditious libel, and being party to a seditious conspiracy, is an indictable offense, for which the maximum punishment is of fourteen years' imprisonment. Article 23 of the Basic Law requires the special administrative region to enact laws prohibiting any act of treason, secession, sedition, subversion against the Central People's Government of the People's Republic of China. The National Security (Legislative Provisions) Bill was tabled in early 2003 to replace the existing laws regarding treason and sedition, and to introduce new laws to prohibit secessionist and subversive acts and theft of state secrets, and to prohibit political organisations from establishing overseas ties. The bill was shelved following massive opposition from the public. On 17 August 2016, Amnesty International India was booked in a case of "sedition" and "promoting enmity" by Bengaluru police. A complaint was filed by ABVP, an all India student organisation affiliated to Nationalists RSS. Advocates for freedom of speech have argued that this constraint ought to be removed;   any constitutional amendment requires a referendum. The thirty-seventh amendment to the constitution removed the requirement for blasphemy to be an offence. In March 2007, Mark Paul Deason, the manager of a tavern near the University of Otago, was charged with seditious intent  although he was later granted diversion when he pleaded guilty to publishing a document which encourages public disorder. Deason ran a promotion for his tavern that offered one litre of beer for one litre of petrol where at the end of the promotion, the prize would have been a couch soaked in the petrol. It is presumed the intent was for the couch to be burned — a popular university student prank. Police also applied for Deason's liquor license to be revoked. 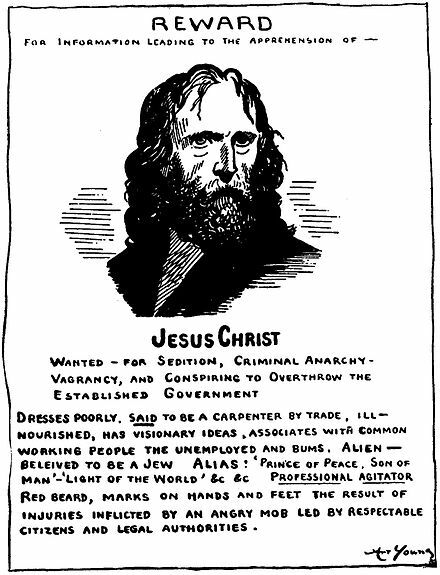 Political cartoon by Art Young, The Masses , 1917. In the Espionage Act of 1917, Section 3 made it a federal crime, punishable by up to 20 years of imprisonment and a fine of up to $10,000, to willfully spread false news of the American army or navy with an intent to disrupt its operations, to foment mutiny in their ranks, or to obstruct recruiting. 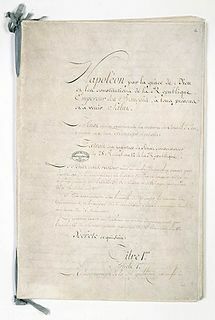 This Act of Congress was amended by the Sedition Act of 1918, which expanded the scope of the Espionage Act to any statement criticizing the Government of the United States. These Acts were upheld in 1919 in the case of Schenck v. United States , but they were largely repealed in 1921, leaving laws forbidding foreign espionage in the United States and allowing military censorship of sensitive material. In 1940, the Alien Registration Act, or "Smith Act", was passed, which made it a federal crime to advocate or to teach the desirability of overthrowing the United States Government, or to be a member of any organization which does the same. It was often used against Communist Party organizations. This Act was invoked in three major cases, one of which against the Socialist Worker's Party in Minneapolis in 1941, resulting in 23 convictions, and again in what became known as the Great Sedition Trial of 1944 in which a number of pro-Nazi figures were indicted but released when the prosecution ended in a mistrial. Also, a series of trials of 140 leaders of the Communist Party USA also relied upon the terms of the "Smith Act"—beginning in 1949—and lasting until 1957. Although the U.S. Supreme Court upheld the convictions of 11 CPUSA leaders in 1951 in Dennis v. United States, that same Court reversed itself in 1957 in the case of Yates v. United States , by ruling that teaching an ideal, no matter how harmful it may seem, does not equal advocating or planning its implementation. Although unused since at least 1961, the "Smith Act" remains a Federal law. Volksverhetzung ("incitement of the people") is a legal concept in Germany and some Nordic countries. It is sometimes loosely translated as sedition,  although the law bans the incitement of hatred against a segment of the population such as a particular race or religion. Blasphemous libel was originally an offence under the common law of England. 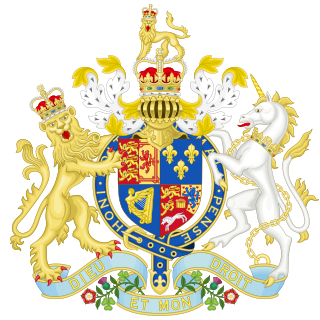 Today, it is an offence under the common law of Northern Ireland, but has been abolished in England and Wales, and repealed in Canada and New Zealand. It consists of the publication of material which exposes the Christian religion to scurrility, vilification, ridicule, and contempt, with material that must have the tendency to shock and outrage the feelings of Christians. It is a form of criminal libel. The Sedition Act is a Singaporean statute law which prohibits seditious acts and speech; and the printing, publication, sale, distribution, reproduction and importation of seditious publications. The essential ingredient of any offence under the Act is the finding of a "seditious tendency", and the intention of the offender is irrelevant. The Act also lists several examples of what is not a seditious tendency, and provides defences for accused persons in a limited number of situations. Tim Selwyn is a New Zealand political activist who was found guilty of sedition on 8 June 2006, the first person charged with sedition in New Zealand for more than 30 years. He is also editor of Tumeke! magazine, has a blog with the same name. The Sedition Act 1948 in Malaysia is a law prohibiting discourse deemed as seditious. The act was originally enacted by the colonial authorities of British Malaya in 1948. The act criminalises speech with "seditious tendency", including that which would "bring into hatred or contempt or to excite disaffection against" the government or engender "feelings of ill-will and hostility between different races". The meaning of "seditious tendency" is defined in section 3 of the Sedition Act 1948 and in substance it is similar to the English common law definition of sedition, with modifications to suit local circumstances. The Malaysian definition includes the questioning of certain portions of the Constitution of Malaysia, namely those pertaining to the Malaysian social contract, such as Article 153, which deals with special rights for the bumiputra. English criminal law concerns offences, their prevention and the consequences, in England and Wales. Criminal conduct is considered to be a wrong against the whole of a community, rather than just the private individuals affected. The state, in addition to certain international organisations, has responsibility for crime prevention, for bringing the culprits to justice, and for dealing with convicted offenders. The police, the criminal courts and prisons are all publicly funded services, though the main focus of criminal law concerns the role of the courts, how they apply criminal statutes and common law, and why some forms of behaviour are considered criminal. The fundamentals of a crime are a guilty act and a guilty mental state. The traditional view is that moral culpability requires that a defendant should have recognised or intended that they were acting wrongly, although in modern regulation a large number of offences relating to road traffic, environmental damage, financial services and corporations, create strict liability that can be proven simply by the guilty act. 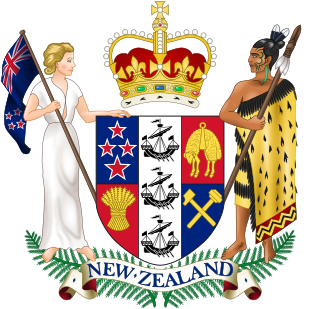 The Crimes Amendment Act 2007 is an Act of Parliament passed in New Zealand in 2007. It removed the crime of sedition from the New Zealand statute book. The Incitement to Mutiny Act 1797 was an Act passed by the Parliament of Great Britain. The Act was passed in the aftermath of the Spithead and Nore mutinies and aimed to prevent the seduction of sailors and soldiers to commit mutiny. In the state of Ireland, "publication or utterance of blasphemous matter", defamatory of any religion, is criminalised by a 2009 statute passed to enforce a requirement of the 1937 Constitution. The constitutional requirement was deleted in 2018 after a referendum and the Fine Gael-led government plans to repeal the 2009 law, which was intended to be "virtually impossible" to enforce, and under which no prosecution has ever been made. The common law offence of blasphemous libel, applicable only to Christianity and last prosecuted in 1855, was believed to fulfil the constitutional requirement until a 1999 ruling that it was incompatible with the constitution's guarantee of religious equality. The 2009 statute filled the lacuna but increased controversy, with proponents of freedom of speech and freedom of religion arguing for amending the constitution. The publishing of any "blasphemous libel" was a crime in New Zealand under Section 123 of the Crimes Act 1961 which allowed for imprisonment for up to one year. However, Section 123 protected all publications and opinions on any religious subject expressed in good faith and decent language against prosecution and specified that prosecution may proceed only with the leave of the Attorney-General. English law did not originally make a distinction between criminal and civil proceedings. "Consultation Paper on The Crime of Libel". Dublin: Law Reform Commission. August 1991. Retrieved 11 May 2016. ↑ C. Breight (7 November 1996). 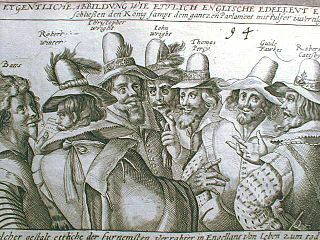 Surveillance, Militarism and Drama in the Elizabethan Era. Springer. pp. 89–90. ISBN 978-0-230-37302-0. ↑ McKenna, Brian (March 4, 2015). "Camillien Houde". The Canadian Encyclopedia. Retrieved January 29, 2018. ↑ Cartoonist Aseem Trivedi sent to judicial custody, govt faces flak Archived 12 September 2012 at the Wayback Machine . Hindustantimes.com. Retrieved on 19 September 2015. ↑ Mathur, Aneesha (March 3, 2016). "JNU row: Kanhaiya Kumar gets bail and a lesson on thoughts that 'infect… (like) gangrene'". The Indian Express. Retrieved January 29, 2018. ↑ "Hours after sedition case, Congress' Divya Spandana again tweets 'PM Chor Hai'". Deccan Chronicle . Mumbai. 27 September 2018. Retrieved 9 October 2018. ↑ "Sedition charges absurd and grotesque: Hiren Gohain". Times of India . ↑ "Constitution of Ireland". Irish Statute Book . Retrieved 11 May 2016. 1 2 Joint Committee on the Constitution (July 2008). "Article 40.6.1.i — Freedom of Expression" (PDF). First Report. Oireachtas. pp. 41, Sections 2.116, 2.117. Retrieved 11 May 2016. 1 2 3 4 Murray, Colin (11 September 2009). "Blasphemy, Sedition and the Defamation Act 2009". Human Rights in Ireland. Retrieved 11 May 2016. ↑ Forde, Michael; Leonard, David (2013). Constitutional Law of Ireland. A&C Black. pp. 845, section 29.11. ISBN 9781847667380 . Retrieved 11 May 2016. ↑ "Defamation Act 2009". Irish Statute Book . Sections 35, 36. Retrieved 11 May 2016. ↑ "Offences Against the State Act, 1939". Irish Statute Book . Sections 2, 10(1)(c), 12. Retrieved 11 May 2016. ↑ Quinn, Sean E. (2009). Criminal Law in Ireland. Irish Law Publishing. sections 51.102–51.111. ISBN 9781871509540. ↑ "Broadcasting Authority (Amendment) Act, 1976, Section 3". Irish Statute Book . Retrieved 11 May 2016. ↑ "Broadcasting Act 2009, Section 39". Irish Statute Book . Retrieved 11 May 2016. ↑ Collins, Simon (17 October 2006). "Law advice body wants to scrap crime of sedition". The New Zealand Herald . Retrieved 8 November 2011. ↑ "Sedition law to be repealed". Radio New Zealand. 7 May 2007. Archived from the original on 18 January 2012. Retrieved 5 May 2007. ↑ "New Zealand repeals sedition law". Wikinews. 24 October 2007. Retrieved 24 October 2007. ↑ "The Sedition Act of 1798". History, Art & Archives, U.S. House of Representatives. Retrieved January 29, 2018. ↑ Letter from Congressman Pedro L. Pierluisi to President Barack Obama. Archived 23 February 2014 at the Wayback Machine Pedro L. Perluisi. U.S. House of Representatives. 21 February 2013. Page 3. Retrieved 12 December 2013. ↑ "Louis Beam" at Anti-Defamation League (ADL) website Archived 19 December 2011 at the Wayback Machine . ADL. Retrieved on 19 September 2015. ↑ . Reuters (08 August 2012) Retrieved on 2019-02-20. "A synopsis of the Australian sedition laws" (PDF). Archived from the original (PDF) on 31 October 2005.